The perfect Gift for the artist in your life, a basket full of colour. 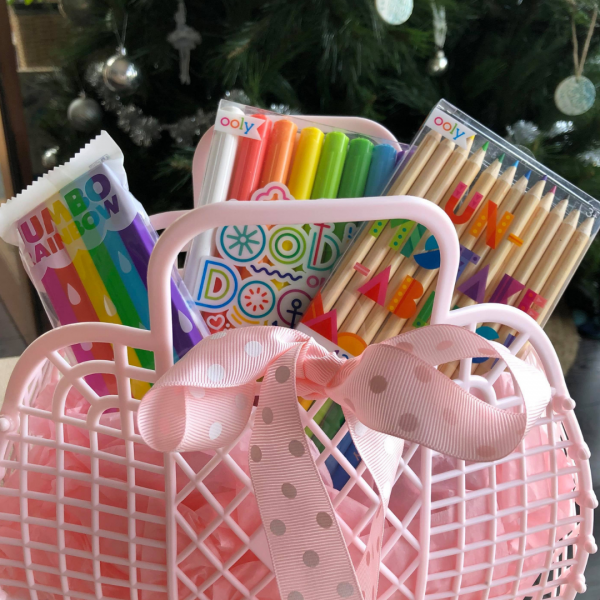 Included in this stunning retro basket (please choose from pink, blue, mint or lemon) are a pack of wonderful Oodles of Doodles colour markers, Rainbow Eraser and Unmistakables – colour pencils. Plenty of colour and fun wrapped and delivered to your door.